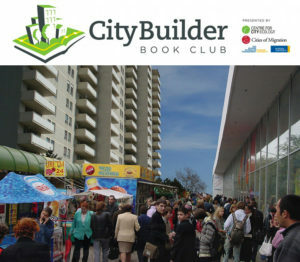 ERA’s Graeme Stewart is pleased to be participating in a webinar presented by Cities of Migration and Centre for City Ecology as part of their Citybuilders Bookclub.  The Bookclub is global in reach, aiming to foster a deeper understanding of how cities work, and brings together a diverse group of thinkers and writers from around the world to weigh in on and debate the issues raised through reading. The current edition is focused on Doug Saunders’ seminal book, Arrival City. 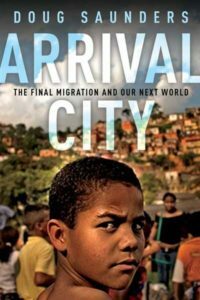 Saunders’ Arrival City is a discussion of the large-scale migrations occurring today of populations across the world from rural to urban settings. This “final migration” represents a time of massive change that has huge cultural, economic, and political implications for the world. Graeme Stewart will participate in a Tower Renewal themed program, which looks at how Toronto’s high-density, apartment tower neighbourhoods perform the role of are ‘arrival cities’ to many thousands of urban immigrants. They are home to some of the most vibrant, ambitious, and often most vulnerable and low-income communities. Despite their vibrancy, these communities face challenges accessing amenities, social services, public transit, healthcare, daycare, fresh food, and commercial and employment opportunities. How do we leverage the potential of these dynamic high-density neighbourhoods that newcomers call home? How can we rethink aspects of how these communities function to build social resiliency, stewardship, adaptability, and new opportunities for residents? On March 13, join Graeme Stewart and friends discussing these and other questions as part of the many Bookclub events. The webinar will be available at http://citiesofmigration.ca/webinar/towerrenewal/. To get caught up on the Bookclub so far, please see citybuilderbookclub.org. To read Doug Saunders’ 2014 article on Canada’s tower neighbourhoods, see the Globe & Mail online. Join us to learn how the ground-breaking Tower Neighbourhood Renewal project in Toronto is exploring alternative narratives about urban renewal from European cities, integrating social resiliency, stewardship, adaptability into city-building and changing how we think about- and live in tower neighbourhoods.